Discussion in 'Change Log' started by Drui, Feb 9, 2017. Hello, Engineers! This week’s update contains more improvements to the overall game and modding. There’s now mirrored versions of wheels so you can have the tire tread facing the same direction on both sides of a vehicle. The texture of light and heavy amour has been updated, it should now look cleaner and less noisy. Most noticeably the tiling of corners and inverted corners is less noticeable as lines on the textures are softer. Additionally, merge blocks have been visually adjusted to match their air tight status and central blast door blocks have been tweaked slightly. Player character color will now remain the same upon respawn at a medical room which will prove especially useful in team-based multiplayer scenarios. Also, idle thrusters will cause damage to players and surrounding grids and when idle. We’re also adding better modding support for emissives. This means that you will be able to use whatever colour you like on functional blocks. For example, you could make a modded generator where the working state is purple. On the subject of emissives, damaged conveyor tubes will no longer emit any light so you know the exact block in your conveyor network that needs repair. In other news, the artists are still tweaking block models but some have started creating the visual elements of the HUD this week while programmers continue work on the implementation side. Meanwhile, the designers are looking into the balance and overall gameplay of survival and are preparing new scenarios. Ultimately though, stability, performance and multiplayer are still our biggest priorities. - fixed issue where the POV for the interior turret was clipping inside of it. Note: This weeks update will also disable the feature where you were able to use wheeled vehicles and use turrets at the same time. 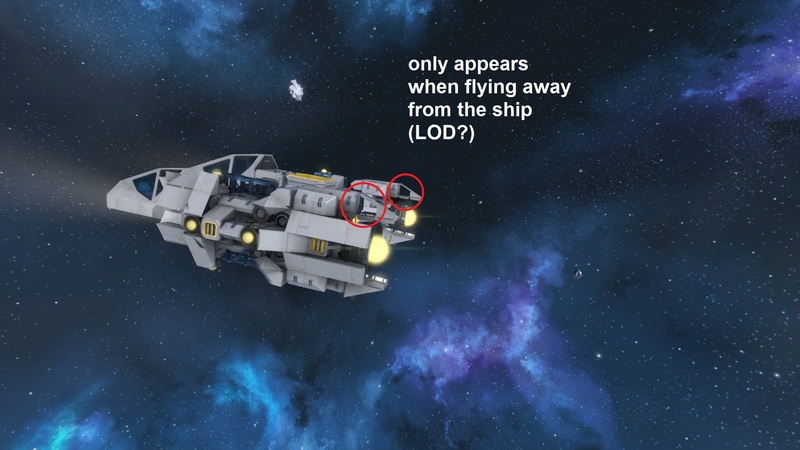 It is not disabled for ships with thrusters. This is a due to a need of patching the feature. Also the welder change from last week that caused some stress and dis contempt is still not yet tweaked properly but hopefully will be delivered in the next update. I've honestly never noticed the unmirrored tire blocks, because the LODs are nearly always the completely smooth version. All LODs go to low quality way too close. Can we have an option to increase the view distance for high-quality models? Or perhaps always see HQ models of the ship you are in when in 3rd person mode? We need a push to stable soon though. I am sure there will be posts about the appropriatness of this soon. THANK YOU KEEN! PROPER MIRRORED TYRE TREADS. Also the welder change from last week is still not yet finished but hopefully will be delivered in the next upcoming update. Not as fun to grind the support block off an interior turret just for it to turn around and shoot you anyway. and i love using wheels cheap fun dangerous way of getting around. but hey...any modder out there think they can make it so we can custom pick the colors for emissives? I'd like to make a big bright colorful pink space ship dedicated to Pink guy. if you don't know who pink guy is google the word "life"
1st on the 2nd column. All of the vanilla emissives are now broken. They are all white, and timer blocks don't blink anymore (when they still operate/make the sound). thats still fun to do...attach a battery and look at it go! This - do we have welder changes in this update? What? How? Why? Confusion reigning! Also, idle thrusters will no longer cause damage to players and surrounding grids. - fixed issues with idle thrusters not doing any damage as well as active thrusters reach. These two statements seems to contradict each other. Can anyone please clarify? Also, the LCD placement markings are very clear & concise! Its true!!! 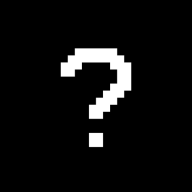 Who is this mysterious character? Hopefully they at least pushed the fix for jammed-on weapons firing to us Stable branch dwellers. Will have to wait until tonight to actually check. A quick workaround for singleplayer creative: Press F12, click Render, tick Lodding, hold down alt and change the "distance mult". Alternatively, if you want to lock the game to the highest quality only, hold down alt and tick "Enable LOD selection".